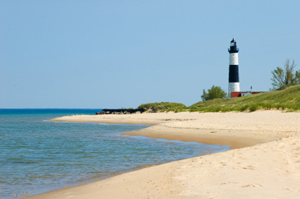 Discover Why We Choose to Live in Michigan! Separated from the Lower Peninsula by the Straits of Mackinac, the Upper Peninsula (or simply, the “U.P.”) is characterized by dense forests and rugged lakeshores. Bordered by Northern Wisconsin, Southern Ontario, and three of the Great Lakes, the Upper Peninsula makes up almost one-third of Michigan’s land mass. 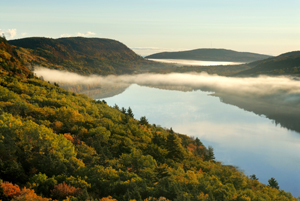 Steep highlands in the western portion of the peninsula give way to flatter lands of the Great Lakes Plain in the east.